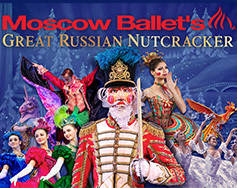 This Christmas give your family the gift of Moscow Ballet’s Great Russian Nutcracker! Step into a simpler time filled with sweet dreams and Christmas magic. With world-class artists, over 200 dazzling costumes, stunning sets, towering puppets, and soaring birds, don’t miss your chance to ring in the holidays with this acclaimed Christmas extravaganza. The New York Times, “Hot Ticket!” Celebrate this cherished holiday tradition and relive the dream with Tchaikovsky’s timeless score. Get tickets for the whole family now! Pre-purchase Moscow Ballet’s Nutcracker Prince! This finely detailed hand-painted wooden figure is inspired by one of the most beloved characters in the critically acclaimed Great Russian Nutcracker. The Nutcracker stands on a Moscow Ballet branded base. This voucher will guarantee you receive one of these limited edition nutcrackers. Bring your voucher to the merchandise table to redeem! 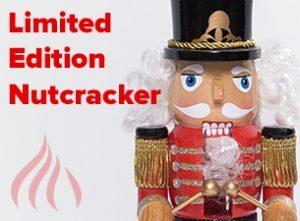 CLICK HERE to purchase your Limited Edition Nutcracker. 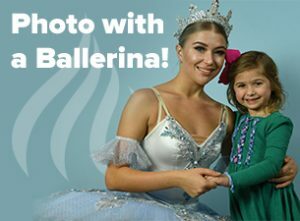 Taking Your Digital Photo: Your pre-purchased digital photo voucher will allow you to skip the payment line and enjoy a photograph with you and your guests (limit 5 guests per voucher) by the Moscow Ballet photographer in The Paramount lobby that will be a treasured keepsake. Photos will be taken before, during intermission, and after the show. CLICK HERE to pre-order your digital photo voucher.